Steve Hansen says Michael Cheika lets his emotions get the better of him. ALL Blacks coach Steve Hansen has described Michael Cheika as a "Mickey Mouse" Wallabies coach and delivered a damning verdict on his emotional frailties. Hansen was speaking at a fundraising event in Wellington at which he may not have been aware his comments would be reported. However, media in New Zealand picked up on the description of the Aussie mentor, who oversaw a dreadful 2018 Test season during which his suitability to retain the role was questioned. Hansen was asked to respond to the suggestion that Mickey Mouse could coach the All Blacks because of the quality of players at his disposal. The long-serving Kiwi mentor replied "they've got Mickey Mouse coaching Aussie". In a more telling critique, Hansen said it was possible to rile Cheika through psychological means to the point of distraction. 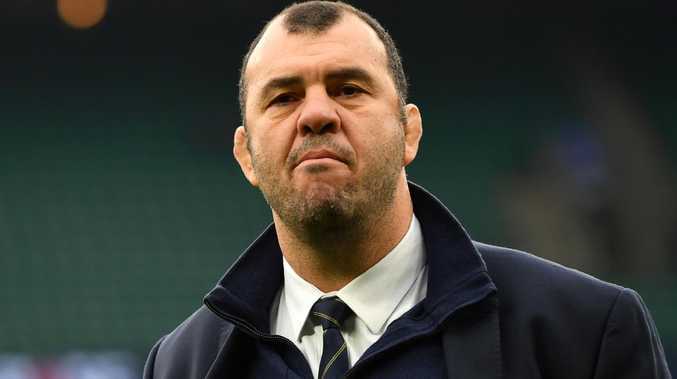 He said during last year's Rugby Championship, players and coaching staff would simply refer to Cheika publicly as the Australian coach. "Then he went on a tirade about not respecting him," Hansen said. Steve Hansen hit out at Michael Cheika’s emotional frailties. "I guess what we're trying to do there is take his mind off the job and while I say he's not a bad bloke, he's got to control his emotions. "I think he's got a good side, he does a good job of the coaching; but sometimes he just lets himself down there." 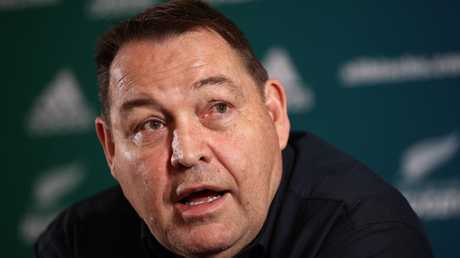 Hansen said the All Blacks used the same ploy with other coaches, such as Wales and British and Irish Lions coach Warren Gatland. It was a different approach for former Wallabies coach Eddie Jones, now in charge of England. "He likes to be praised so we praise him," Hansen said. "At the end of the day I enjoy Eddie a lot because he's passionate about the game. "We speak to each other in season most weeks."